The 3 Sacred Prayers of Light, Love and Peace can be used for healing and manifestation of positive intention. Set against the gentle sound of the ocean, the set of three sacred prayers is spoken three times over in Anaritas light language by Shabdan. The special trinity invocation will fill your space with abundant light, love and peace, with angels and masters contributing their unconditional love. This CD can be played in the background to promote an ambience of lightness and healing in your home. It can be used as a beautiful background sound for meditation or healing sessions, and it can be used to manifest a positive intention by following the simple instructions on the sleeve. Inside, the Prayer of Light, Prayer of Love and Prayer of Peace are written out in full so that you can chant them yourself or use them independently of the CD for healing and manifestation, including earth healing. The Anaritas light language prayers come directly from Source and are a sacred invocation of the divine. They always work under the Law of Grace for the highest good. They will only support positive, loving intentions and are perfectly safe to use. 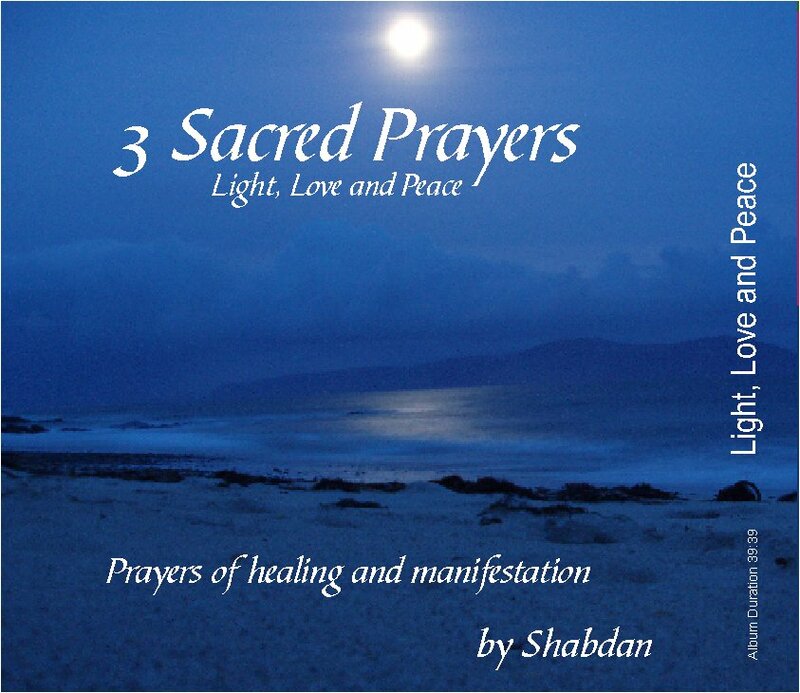 "Using the 3 Sacred Prayers CD regularly for manifestation by encompassing the sound of the CD, the prayers and my positive intention helped me to focus on what I really wanted to create in my life. I love the sound of Shabdan's voice and the sound of the sea - a perfect combination!"